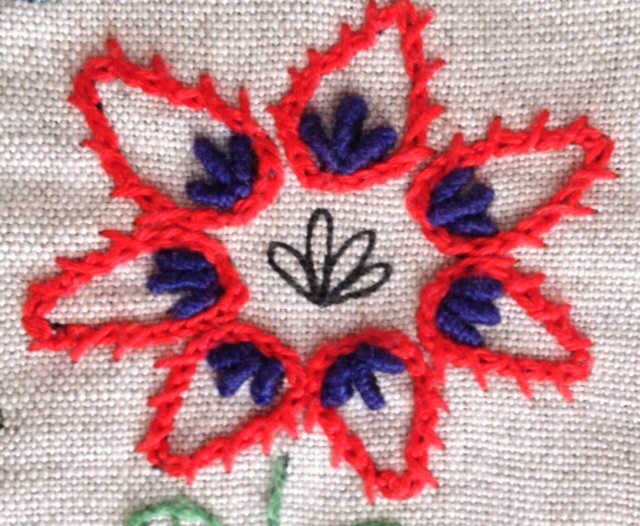 Bullion knot is a wonderful stitch which improves the ugly flower from last week. 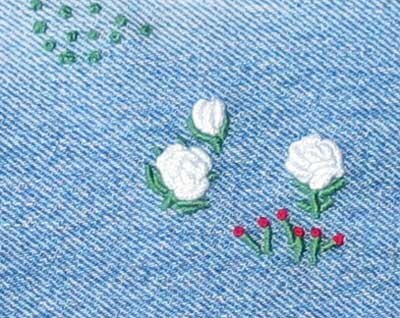 They are perfect for rose buds. Or rather perfect for any flower. 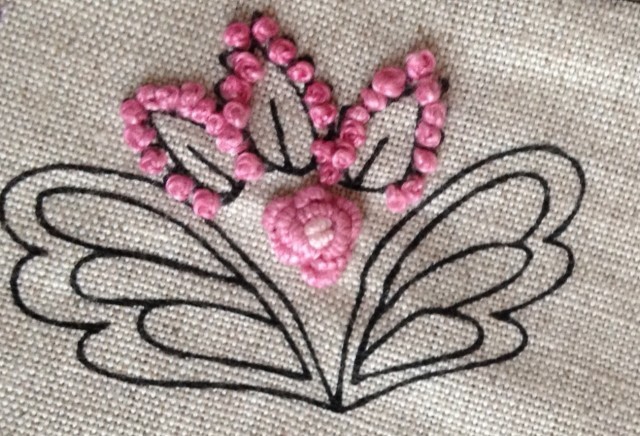 This week I have started embroidering new flowers. Bullions is a good start. I love all kinds of knots. Here are some pictures from previos works. At first my handbag. 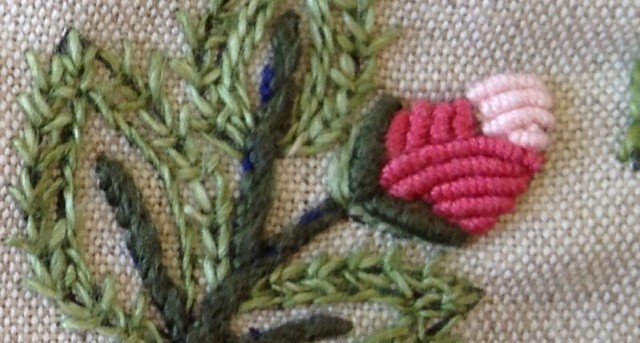 You have already seen the next picture on French knot page. 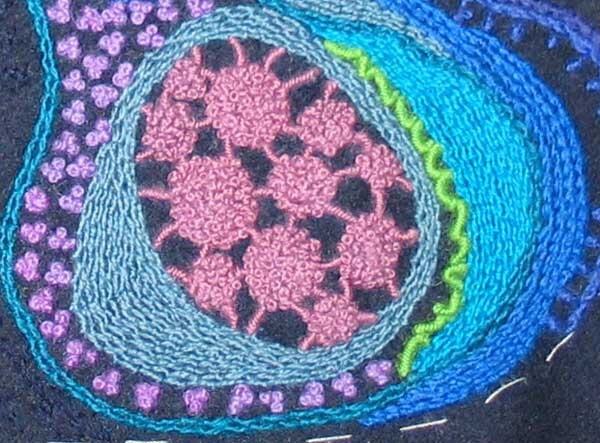 The pink/mauve circles are connected by Bullion knots. 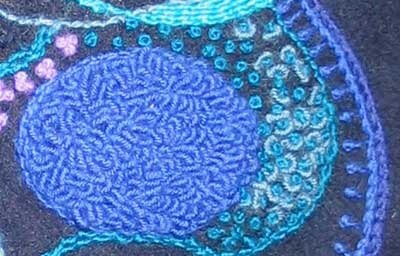 The green ”worms” are also Bullion knots. 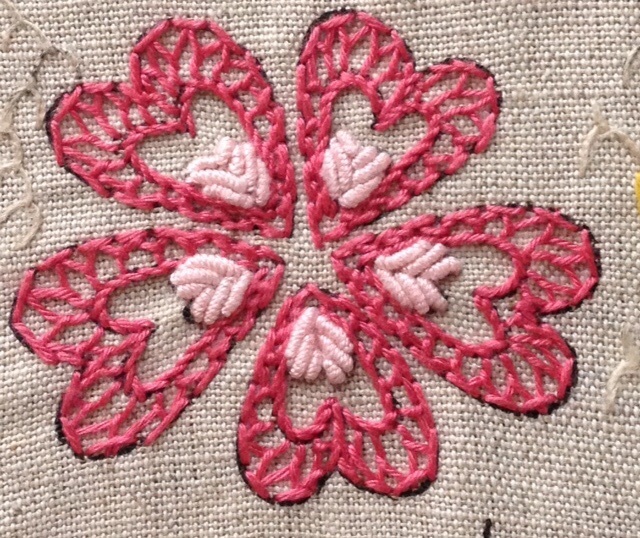 The other stitches are different kinds of knotted stitches. 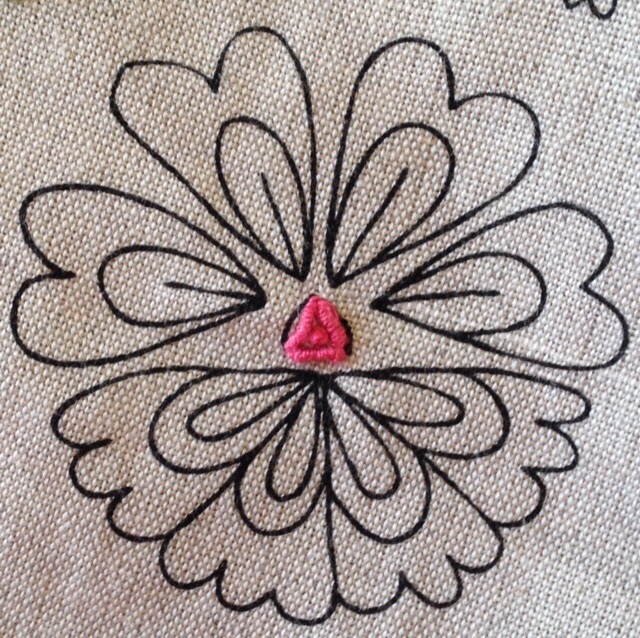 There are Bullion knots of different lengths on this area. 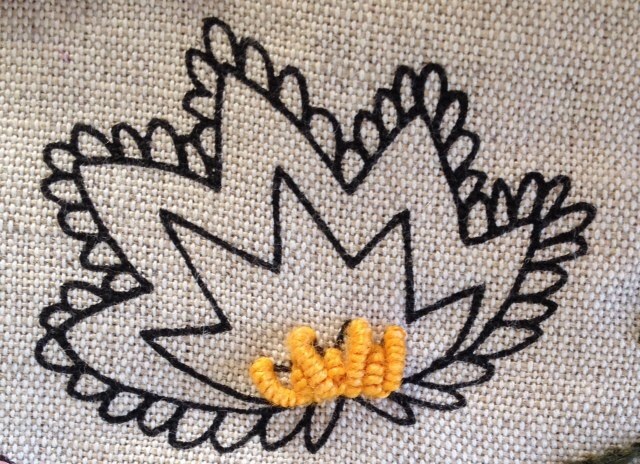 The pale blue Bullion knots are my first Bullion knots ever. 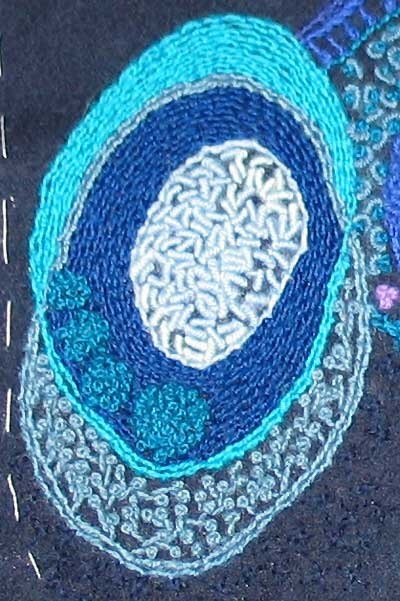 The blue oval bellow is filled with dense, rised Bullion knots, and to the right there are Bullion knots surrounding a single French knot. 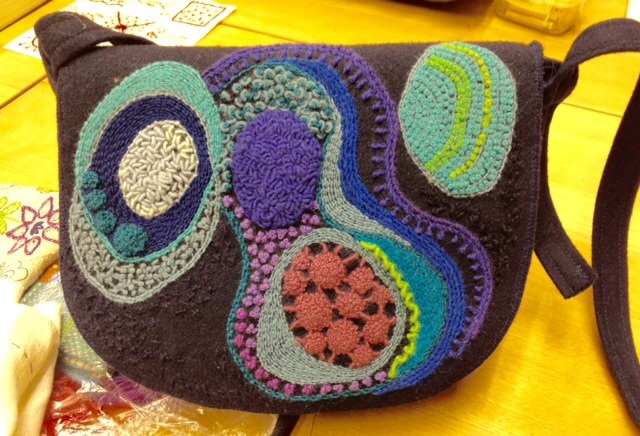 The handbag embroidery is all in wool. This entry was posted on lördag, november 21st, 2015 at 10:46	and is filed under Broderi, TAST (in English). You can follow any comments to this entry through the RSS 2.0 feed. Both comments and pings are currently closed.